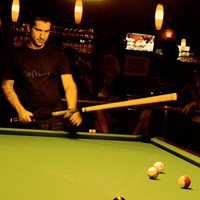 Joint Protectors or Joint Caps are vital to the life of pool cues. Joint protectors will protect the pin from damage and will keep debris and lint from getting in your threads. We carry joint caps of all shapes and sizes including exotic wood joint protectors made from bacote, tulipwood ebony and cocobolo woods.